Charity auctions can be some of the most successful fundraising events when it comes to both raising a lot of money and engaging your donors. And while they might not be the trendiest way to fundraise, new technology has added fun and exciting elements! However, running the most successful charity auction definitely takes a little bit of planning and strategy. Procure the best auction items. Offer other opportunities to donate. Now let’s dive right into the wonderful world of auctions! 1. Procure the best auction items. Because the bidding will be the cornerstone of your fundraising, it couldn’t be more important for your organization to procure the best auction items possible. The “best” auction items for your organization will mostly depend on your supporter base. Consult your nonprofit CRM. While your donor database won’t be able to tell you exactly which items your supporters won’t be able to resist, it can give you a few insights into their interests, preferences, and affinities. You can then use these insights to infer which items they might like best. Analyze your auction software. Has your organization hosted an auction before? If you used auction or event planning software, you can run a variety of reports to see which items performed best in the past. Once you have a few ideas in mind, it’s time to apply this data to figure out which items might be the most popular among your audience. Your supporters’ budgets. Your supporters won’t bid on your items if they’re way out of their price range. Make sure the items you pick fall into your supporters’ general budgets so that they’ll have the financial means to bid on them. The uniqueness of each item. While this factor isn’t dependent on your supporter base, per se, items that are rare tend to receive the most bid activity. When your supporters only have one opportunity to walk away with a coveted item, they’re going to fight harder to win! As your items are coming in, remember to record them in your auction or event planning software. By doing so, you’ll be able to keep much better track throughout your charity auction planning! The takeaway: Most of the funds you raise at your auction will come from bids on items. To raise the most out of bidding, you’ll want to choose the items that will most appeal to your supporter base. Bonus: Check out BidPal’s ultimate list of 115 auction item ideas! 2. Offer other opportunities to donate. While bidding will be your primary charity auction fundraising method, there are certainly a few other strategies you can implement to make your event even more successful. Here, I’ll briefly share a few of my favorite strategies. 1. Hold a live appeal. What’s the best way to see more donations? Ask for them outright! That’s exactly what the live appeal is: a direct ask for monetary donations during a live event. During your auction, someone from your organization should request that the audience help your organization reach a fundraising goal by the end of the event. If you’re using mobile bidding, the platform should include a donation functionality where guests can submit donations directly with their phones. If you’re hosting a live auction or a paper silent auction, you can still accept mobile donations by using a standard text-to-give service. One of the best ways to make more money at any event is to sell merchandise branded to your organization. Think about it: as much as they would never admit it, a lot of people feel more comfortable donating when there’s a small reward involved. It’s just human nature. This strategy can work particularly well for charity auctions, where guests will attend expecting to walk away with something. Some of your guests won’t win items, so selling merchandise is the perfect way to collect more donations while also making sure that no one goes home empty handed. In fact, even those guests who do end up winning items might still want to buy merchandise. If they had an excellent time at your auction (which they definitely will!) they’ll probably want a cool piece of memorabilia to remember it by. The type of merchandise you choose will be up to your organization, but there are tons of products out there that you can sell to raise a little more at your events. Auctions and raffles go together like peanut butter and jelly. In fact, there’s a whole subgenre of auction that combines the thrills of both an auction and a raffle. Even if you’re hosting a more traditional auction, you can still incorporate a raffle into your event. You’ve already solicited a range of amazing items, so why not use one as a raffle prize? Your organization can sell raffle tickets on your auction website leading up to the event and at the door on the night of, then do a drawing at the end of the night. Just make sure to check with the local authorities to ensure that you’re following all raffle regulations and guidelines in your jurisdiction. The takeaway: Auctioning off items isn’t the only way you can make money at your charity auction. 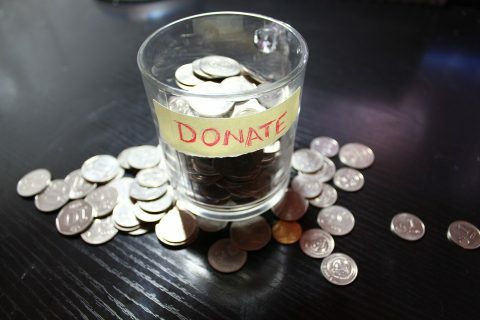 Consider implementing other strategies to see more fundraising success! There are many different strategies your organization can rely on to help you see the most success from your charity auction. Hopefully the tips I’ve provided here will get you on the right track to making more out of your auction fundraising. For more charity auction tips and resources, make sure to check out BidPal’s website. Karrie Wozniak is an expert on mobile fundraising. 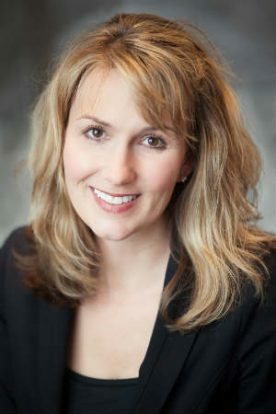 She is Vice President of Sales & Marketing at BidPal, the leading mobile fundraising software company that helps nonprofits engage more donors and raise more money. Since 2008, BidPal has helped nearly 2,800 organizations raise more than $1 billion and connect with over one million unique donors.